One Day in My Life is available online at the Sinn Féin Bookshop. 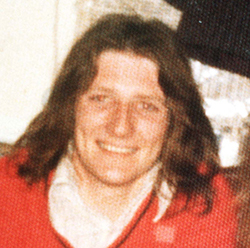 Bobby Sands was 27 years old when he died. He spent almost nine years of his life in prison because of his Irish republican activities. He died, in prison, on 5 May 1981, on the sixty-sixth day of his hunger strike at Long Kesh Prison, outside Belfast. This book documents a day in the life of Bobby Sands. It is a tale of human bravery, endurance and courage against a backdrop of suffering, terror and harassment. It will live on as a constant reminder of events that should never have happened – and hopefully will never happen again.